The Astra 680 is a short-barreled revolver previously manufactured by Astra of Spain. 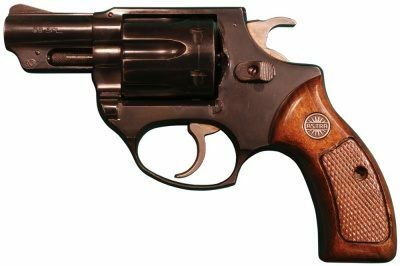 The Astra 680 is a revolver intended primarily for civilian use but also served as a backup weapon or as a concealed carry weapon by gendarmes. The Model 680 was manufactured until 1996, by Astra-Unceta y Cia SA with available chamberings being .22 Long Rifle, .22 Winchester Magnum Rimfire, .32 Smith & Wesson Long or .38 Special. Offered frame makes included standard steel, polished steel, and blued steel. The 680 was available in blue, stainless (INOX) and with an alloy (aluminum) frame (680 AL). Photos are for illustration purposes. it is advised to visit our shop to view the firearms.